Take your drink with you in this stylish tumbler. 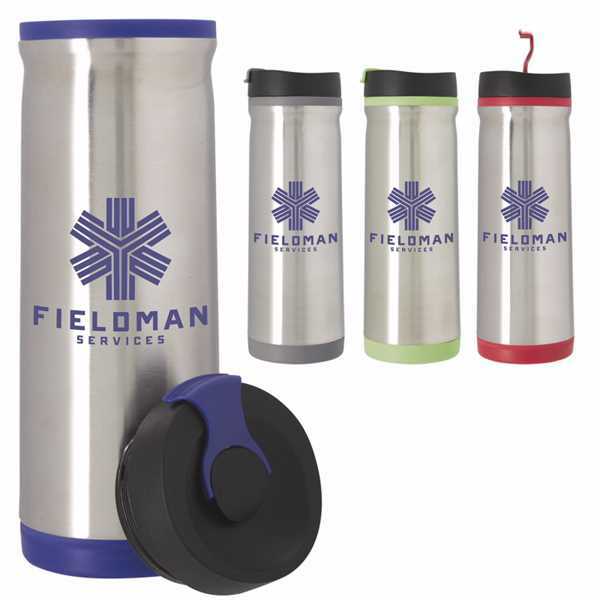 Double wall insulation with stainless steal outer and PP inner wall will keep your drinks hot or cold for hours. Spill-resistant flip lid. Stainless-Steel Outer with PP Inner. 16 oz. capacity when filled to the rim. 8-3/4"h x 3"dia.